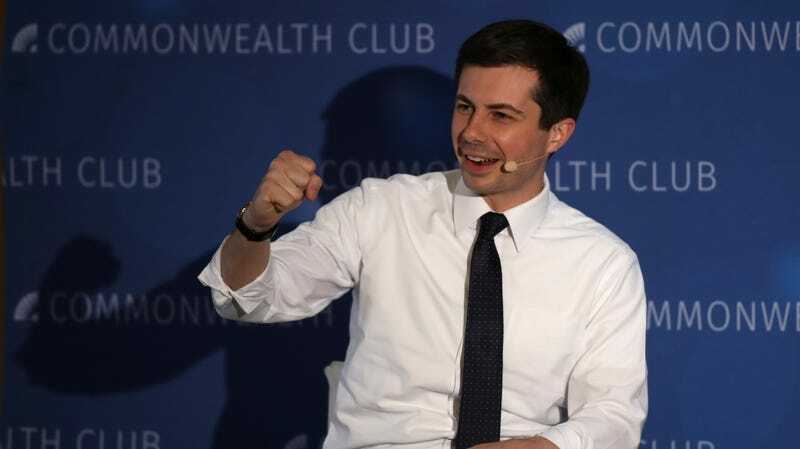 Given that he’s 37, white, liberal, and a Harvard grad, it would be kind of surprising if Democratic presidential hopeful Pete Buttigieg wasn’t a fan of the band Spoon in some sort of form or another. But the mayor of South Bend, Indiana has now officially gone on the record with his policy on piano-heavy experimental indie rock—and with the band itself apparently offering its tacit support, if not for the presidency, than at least for a role as its substitute keyboardist. And while it’s still possible that Buttigieg is actually merely a fan of the 2006 Will Ferrell meta-comedy Stranger Than Fiction, it’s obvious that he’s making powerful inroads into this all-important core of voters who love to rock, but only in a particular thoughtful lo-fi way, in the 2020 campaign. We can’t imagine that’ll have much impact on the actual presidential race, but, then, there were a whole lot of things we used to think wouldn’t matter in national politics, and look where that got us. So hey, who can say?